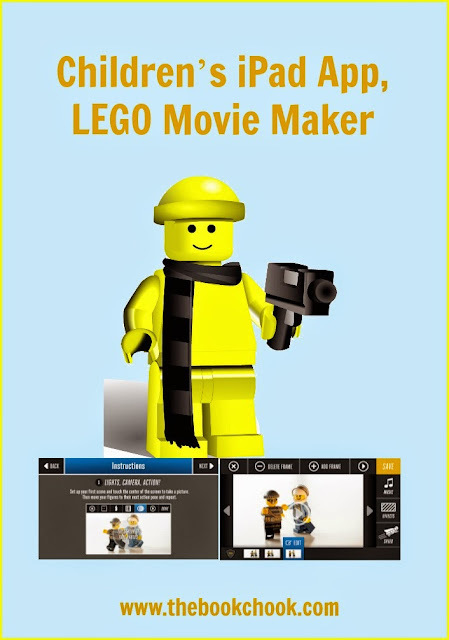 The LEGO Movie Maker app makes it fairly straightforward for kids create a stop motion movie. Basically what you’re doing is setting up a photo, taking it from within the app, then moving part of the set a little and taking another photo. Repeat! What I liked: Free is great! I also love apps that encourage creativity and this one does. Kids will adore creating a story to base a movie on, and the process of movie creation is quite clear and straightforward. The app comes with some music and that makes it easy for younger kids to add a soundtrack. However, as with most apps, I think the best experience will come with families or friends working on their movie together. Once kids have had a play with the app, I would encourage them to think what story they would like to tell with their LEGO pieces. They need to ask questions like: what props will I need and how can I get them? what background(s) will I need and how can I arrange them? What characters will I have? What will the problem and the resolution be? Can I use special effects to enhance the story? Should I add some captions in the dialogue cards to build suspense or make the action clearer? Embedded below, you can see the very short test video a young friend and I made with the app and some LEGO Fabuland. There’s a video walk through of the app here. I mentioned this app in my article, Creative Prompt for Kids - Start with LEGO. l’ll be adding this post to my list, Creating with Children and iPad Apps.